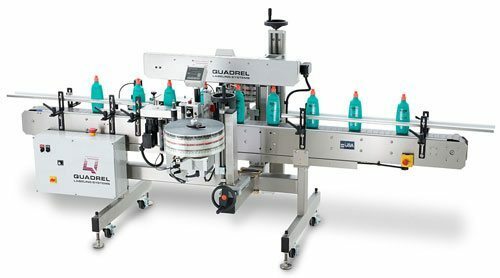 Quadrel offers a complete product line particularly well-suited to the environment and reliability requirements of packagers of household products and cleaners. All Quadrel systems feature stainless steel construction and environmentally-sealed electronics. This labeling system features 316 stainless steel construction for highly corrosive or hazardous environments. 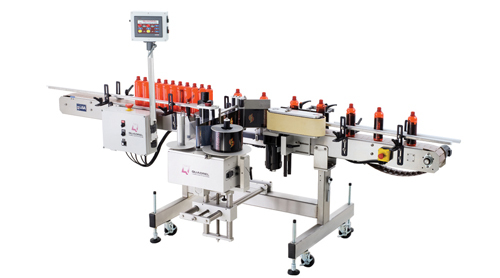 Ideal for front, back and wraparound labeling applications, and features Allen Bradley PLC and color touchscreen. 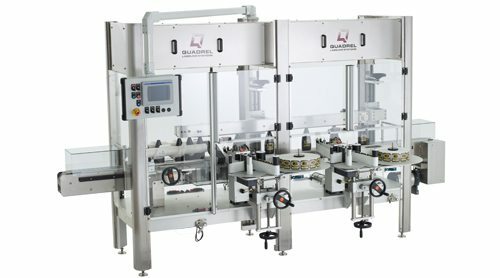 Featuring manual or robotic loading capabilities, this system is designed for horizontal tubes. Size capabilities range from 3″ to 1/2″ and features a custom escapement feed and all stainless steel construction. Production speeds of up to 100 ppm. 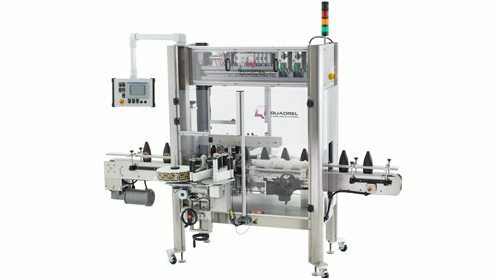 Our inline system is perfect for household chemical and cleaner packagers. The ProLine features internationally compliant guarding, overhead electronics, Allen Bradley PLC control and PanelView touch screen. 14 inch bottom clearance allows for easy clean up. Redundant applicators make the ProLine zero downtime ideal for high production packagers of household chemicals and cleaners. The 24/7 operation features overhead electronics, retractable applicator supports, Allen Bradley PLC, servo driven components, color touchscreen operator interface and internationally compliant guarding. 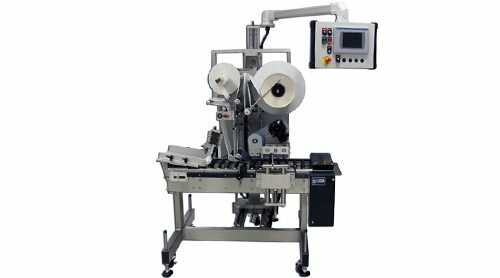 The front/back/wrap TechLine inline labeling system is a technically advanced system for applications demanding speed above 150ppm. Features include an all stainless steel construction and Allen Bradley PLC control, environmentally sealed electronics, color touchscreen HMI and speed capabilities of up to 250 products per minute. 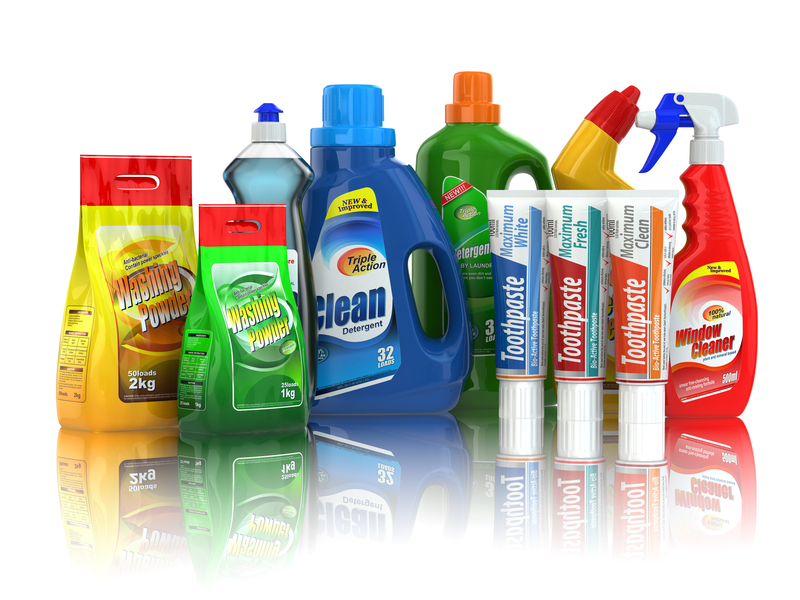 The EconoLine labeling system is an economically priced, rugged and compact front/back/wrap labeling system for packagers of household chemicals and cleaners. 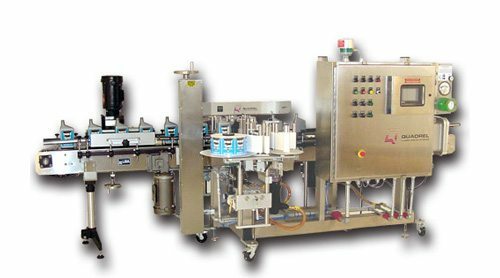 Speed capabilities of up to 150 products per minute with all stainless steel construction, stepper driven label feed, AC frequency controlled product handling and microprocessor control.